Crab cake recipes, science fiction, yoga poses, fashion – Alberta magazines have you covered. Our magazines are trusted, thoughtful publications that contribute to the ever-changing cultural landscape of our province, and are a testament to the publishers and content creators who dig deep into local stories. Join us in celebrating Read Alberta Magazines Month, starting October 4th with an announcement from the Ministry of Culture and Tourism about investment in the industry! 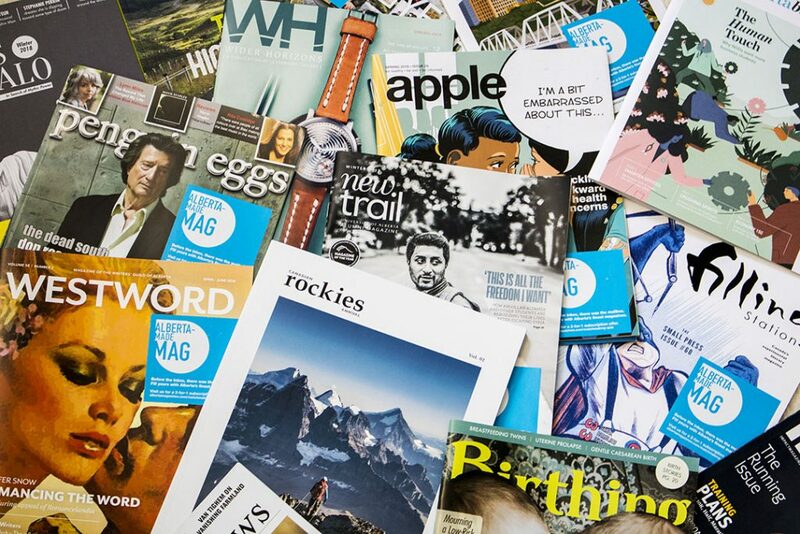 The pages of magazines will come to life throughout Read Alberta Magazines Month with pop-up magazine events at the downtown Calgary CORE Shopping Centre. Therapy dogs, contests, scrapbooking crafts, stop by the CORE on select dates to learn about these publications, grab new issues, and support home-grown magazines.